It is hard to believe that LEDO has been making pizza since 1955. After all, pizza seemed to be a passing trend when a restaurant opened in Adelphi, Maryland. It is rolled to order with fresh handmade dough topped with the same high quality cheese and the same style tomatoes. It may take a little longer, but it sure is worth it. The concept was simple: to provide high quality food at a great value in a comfortable, family atmosphere. Word of mouth quickly made LEDO a favorite spot for local residents, the University of Maryland community, and the Washington Senators. Bobby Allison, “TEX” Clevenger and other members of the New York Yankees and Washington Senators ate at Ledo Restaurant in the 1950’s. The legacy lives on today. The families that created LEDO Pizza now pass the tradition to other families in new areas. 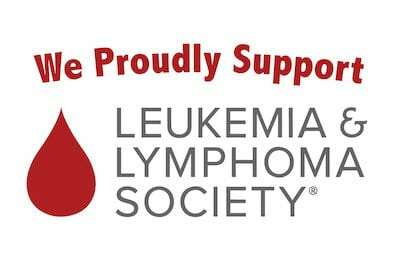 These franchises uphold the high standards that made the LEDO Pizza famous. Very little has changed since 1955. The pizza is still made the same way. 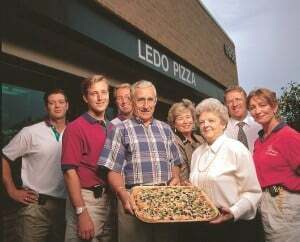 There are some unique qualities of LEDO Pizza that come from its long history. People often ask why LEDO Pizza is rectangular. The round pizza pans commonly seen today were very new in the fifties. Rectangular baking pans were readily available, hence the square pizza. Since that time, round pans have become the rage as pizza operators are able to cut costs by giving the appearance of more, while actually offering less. Our thick pepperoni is also a LEDO trademark. Its unique size resulted from the cooks cutting the pepperoni by hand. The thicker the slice, the faster the work was finished. The customers loved it so much we kept doing it that way. While our entrees and subs have a somewhat shorter history, they have become famous as well. All of our subs are made with freshly baked bread and stuffed with our favorite items. Our Italian salad is large enough for a meal and comes with our famous LEDO salad dressing. Other delicious entrees include lasagna, spaghetti, soup, salad, and breadsticks. The round pizza pans commonly seen today were very new in the fifties. Rectangular baking pans were readily available, hence the square pizza. Since that time, round pans have become the rage as pizza operators are able to cut costs by giving the appearance of more, while actually offering less. Ledo Pizza Gift cards are the best gift for teachers! 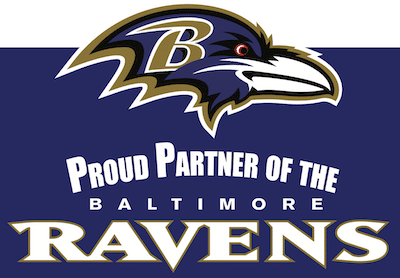 Ledo Pizza Welcomes Maryland Athletics to the LEDO Family! Ledo Pizza is Square Because They Don’t Cut Corners. *Not Valid on Gift Cards or Sale Items.